These burgers also work well in the air fryer, which gives them a nice crisp outside around their chewy interior. 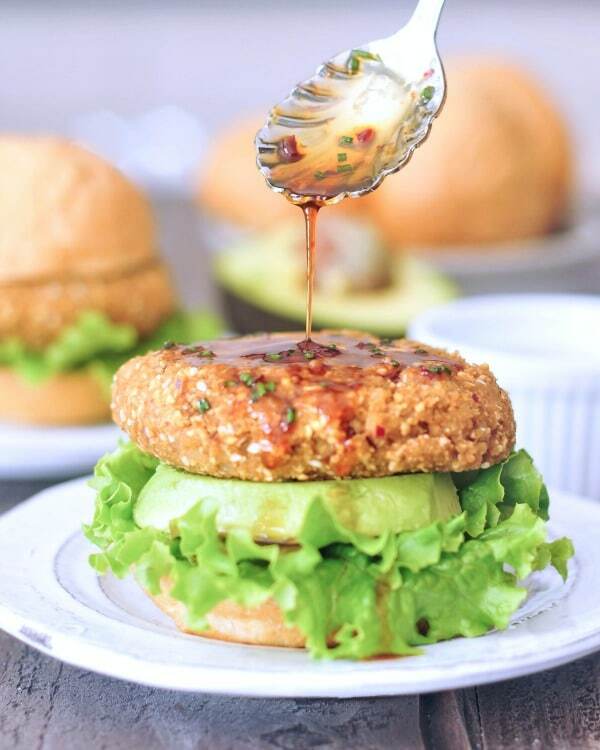 This recipe comes from my friend Brandi’s new book, The Vegan 8: 100 Simple, Delicious Recipes Made with 8 Ingredients or Less. Whenever I make one of Brandi’s recipes, I can easily see that she loves what she does, and is good at it. Her recipes do not disappoint. 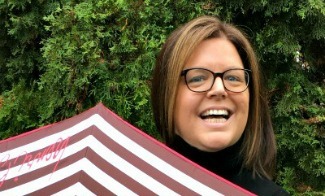 Not only are Brandi’s recipes approachable, they are craveable. The sort of recipes everyone wants. No difficult to find ingredients – these recipes are all made with whole foods. No oil, no gluten. Brandi’s whole concept is 8 Ingredients or less, excluding salt, pepper, and water. 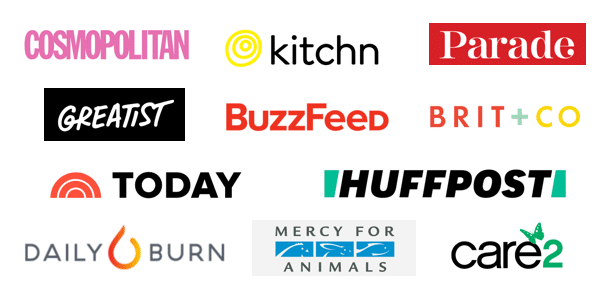 The recipes in The Vegan 8 are categorized by meal. 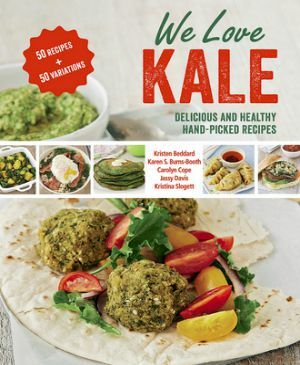 The chapters include Breakfast, Scrumptious Snacks and Appetizers, Time Crunch Lunches, Sauces and Dressings, Easy Entrees, Comforting Soups and Stews, Sides and Dips, and Crowd Pleasing Desserts. Brandi begins with tips on baking and then goes into pantry essentials – some great detailed information there. Then she gets right into the recipes. Speaking of cream cheese, the Fool ‘Em Cream Cheese Spinach Artichoke Dip may be a long and wordy title, but it is a fantastic dip! I’ve made it twice already, with requests to bring it to at least one upcoming holiday party. There is a Hungarian Red Lentil Soup also. It is on my list to try next time we are craving lentils, which should be soon. We also have the Thai Rice Noodle and Bok Choy Soup on our list. There is a Party Pizza Dip, a Chili Con Queso, and a Cajun Red Beans and Rice. Dessert wise, the Chocolate Peanut Butter Candy Bites are fantastic. I cannot wait to try the Toffee Pecan Glazed Cake. Mmm hmm. 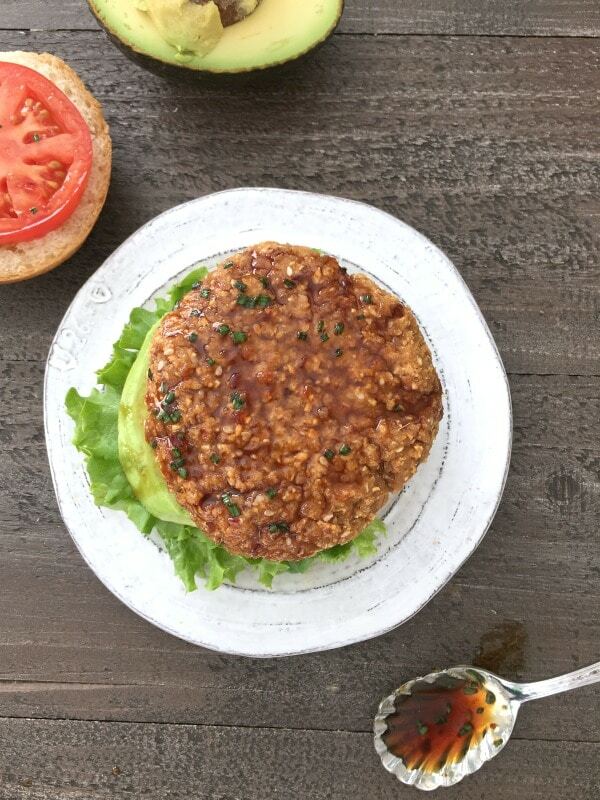 …and then there are these Ginger Sesame Teriyaki Burgers. I’ll say it again – incredible flavor. Preheat oven to 350 °F (177 °C). Line a sheet pan with parchment paper. Add the rice, 1 cup (240g) water, and 1/4 teaspoon salt to a medium pot and stir. Bring to a boil, cover, reduce the heat to low, and simmer for 30 to 35 minutes or until all the water is gone. Remove from heat (keep covered), and let it steam for 5 minutes. Fluff with a fork and leave uncovered for 15 minutes to cool. Meanwhile, add the onion and 3 tablespoons (45g) water to a pan over medium low heat. Bring to a simmer, cook for 5 minutes, stirring occasionally until the onions are tender. Once the water is gone, stir the onions constantly for a couple of minutes to brown them. Add the onions to a food processor, along with the teriyaki sauce, sesame seeds, garlic powder, black pepper, and, if desired, red pepper flakes. Pulse to combine the spices with the sauce and break up the onions a bit, but not purée them. Add the chickpeas and pulse several times to break up the chickpeas into tiny pieces, but do not purée them. Add the cooked rice, rice flour and oats, and pulse several times until it all comes together into sticky chunks. You want the mixture to hold together but do not want to over mix it. Use a 1/2 cup measuring cup to scoop the chickpea mixture, pressing it into the cup to flatten it. Plop the patty out into your hand, shape into a ball, and place it on the prepared sheet pan. Press down until the chickpea mixture is 1 inch thick, and shape the edges into a round patty. Repeat the procedure with the remaining chickpea mixture to get 6 patties total. Bake at 350 °F (177 °C) for 20 minutes, flip them over, and bake 10 more minutes. Let cool for 10 to 15 minutes. The patties firm up as they cool. 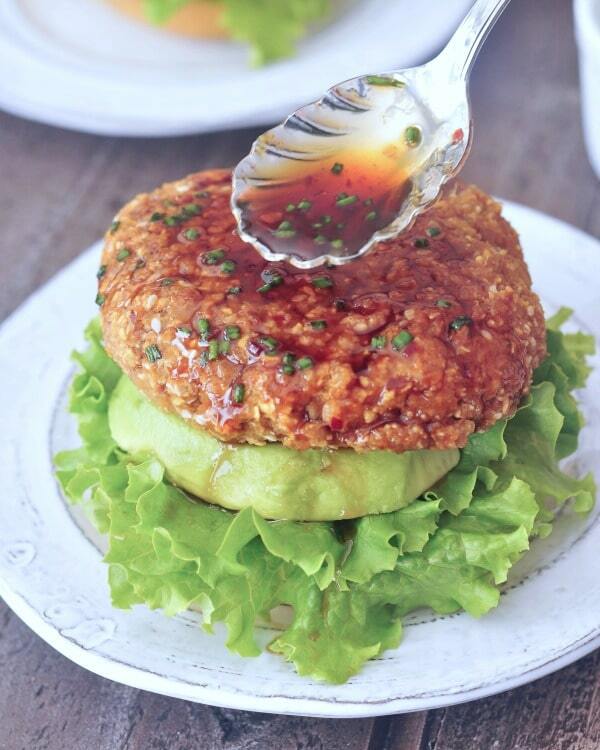 To serve, dress buns with teriyaki sauce, lettuce, extra sesame seeds, tomato, avocado, whatever toppings you prefer. Store leftover patties in the fridge, wrapped tightly in plastic wrap and placed in an airtight container. These reheat well in the microwave and also in the oven on low heat. Add coconut aminos, maple syrup, 1/4 cup (60g) water, ginger, garlic, chives and sesame seeds to a small pot. Whisk together well. Add the brown rice flour, whisking until there are no lumps. Add the cayenne. Turn the heat to medium, and bring to a low boil. Cook for 3 to 5 minutes or until the mixture begins to thicken, whisking around the edges a couple of times while it cooks. Be careful not to cook it too long, or it will get too thick once cooled. Remove from heat and let cool for 5 minutes. It should have a syrup consistency as it cools. if it is not a syrup consistency after a few minutes of cooling, cook just a couple more minutes. This can be frozen for up to 6 months. Thaw it in the fridge, then reheat on low on the stove. note: The coconut aminos are crucial here and cannot be subbed with liquid aminos or soy sauce, as those are way too salty. Coconut aminos are sweeter and much less salty. This can be found at many grocery stores in the same aisle as soy sauce, or also online. Definitely a burger we will make again and again. Same with that sauce. Yum. 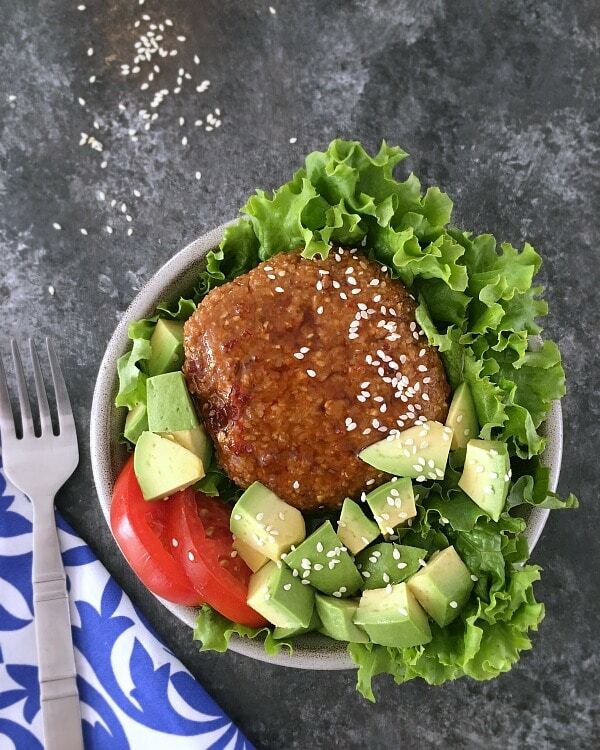 Try AmazonFresh Free Trial for Unlimited Grocery Delivery – add these 8 recipe ingredients to your list, and make these Ginger Sesame Teriyaki Burgers tonight! use code FRESH25 for a $25 off discount on your first AmazonFresh order! Add the rice, 1 cup (240g) water, and ¼ teaspoon salt to a medium pot and stir. Bring to a boil, cover, reduce the heat to low, and simmer for 30 to 35 minutes or until all the water is gone. Remove from heat (keep covered), and let it steam for 5 minutes. Fluff with a fork and leave uncovered for 15 minutes to cool. Use a ½ cup measuring cup to scoop the chickpea mixture, pressing it into the cup to flatten it. Plop the patty out into your hand, shape into a ball, and place it on the prepared sheet pan. Press down until the chickpea mixture is 1 inch thick, and shape the edges into a round patty. Repeat the procedure with the remaining chickpea mixture to get 6 patties total. Add coconut aminos, maple syrup, ¼ cup (60g) water, ginger, garlic, chives and sesame seeds to a small pot. Whisk together well. Add the brown rice flour, whisking until there are no lumps. Add the cayenne. 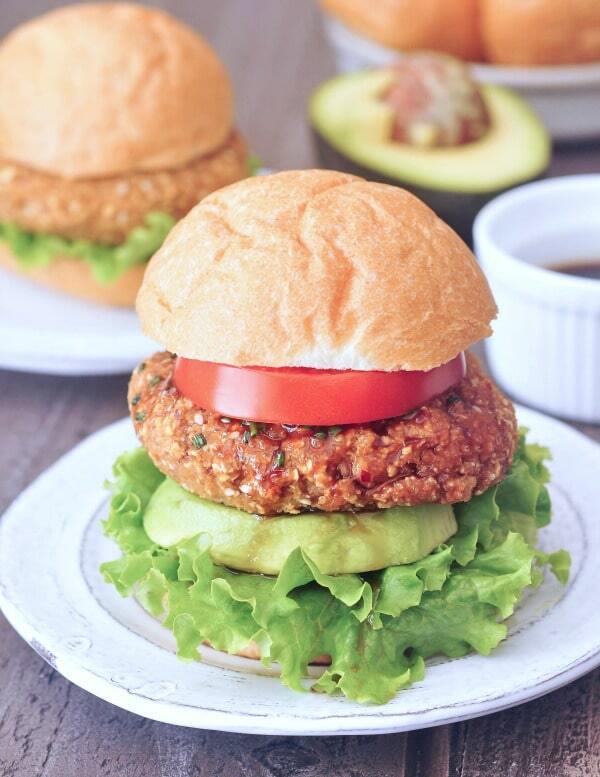 This is the yummiest veggie burger I think I’ve ever seen! I love the gluten free teriyaki sauce you made, too. I bet the Teriyaki flavor is a good kick of flavor! We try not to eat much meat, so this is a great alternative. 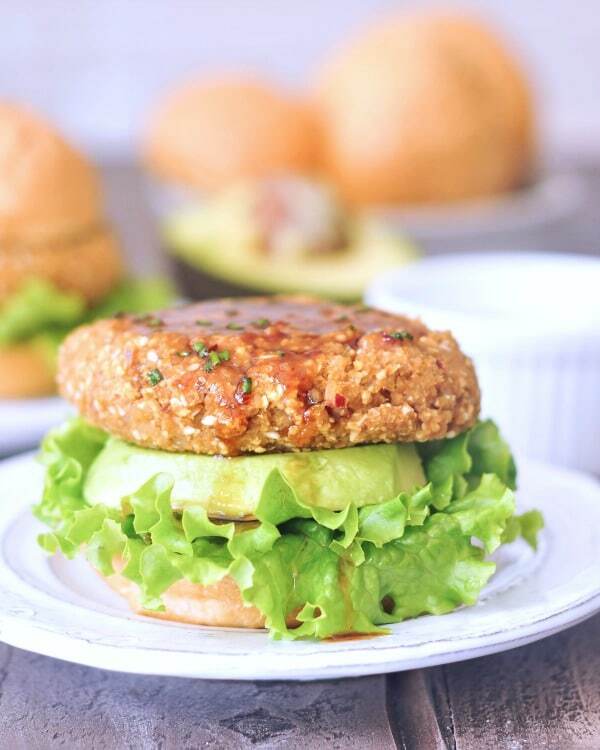 We are always looking for more vegan burgers to try, We like a variety of flavors. It is great that we can make them in the air fryer too. That burger looks like the real deal. It definitely holds together well and hooray for great taste! I had to take a second look when I first say your burger…it didn’t look vegan at all! And that flavor sounds amazing. you are so welcome, Brandi! thank YOU for creating this incredible resource of a book! I mean it when I say I have already cooked from it a lot, and will continue to do so! we love it! That sounds like such a good concept for a cook book. I am always looking for recipes that are uncomplicated and don’t require to many ingredients. It may stem from having allergies and the philosophy of less is better… and safer. that is a great point, Kortney! I think you especially would get a lot out of this book, for that reason. 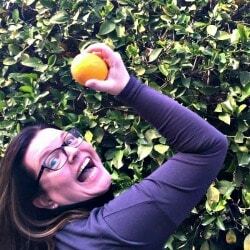 she manages to create excellent recipes with minimal, whole food ingredients. 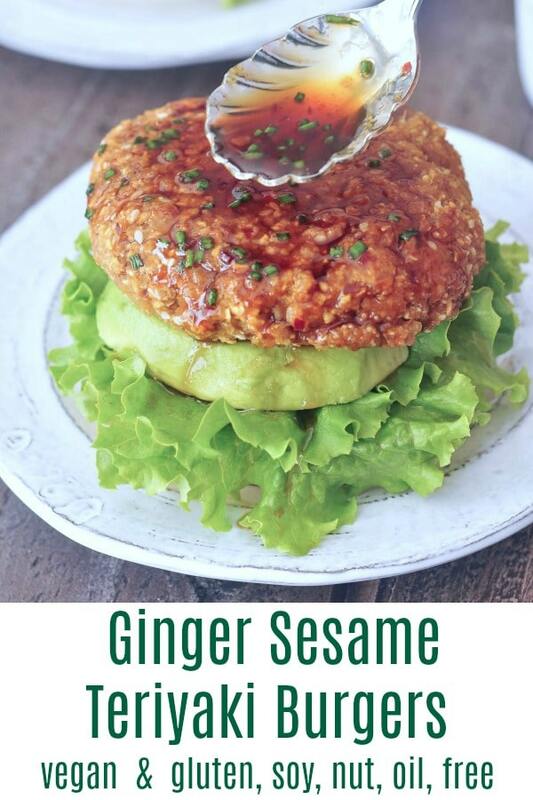 Not only have you inspired me to make this burger but I just pulled The Vegan 8 up on Amazon! This looks so delicious! awesome, Jules! you will love the burger AND the book! really exceptional recipes. I really need to up my veggie burger game! 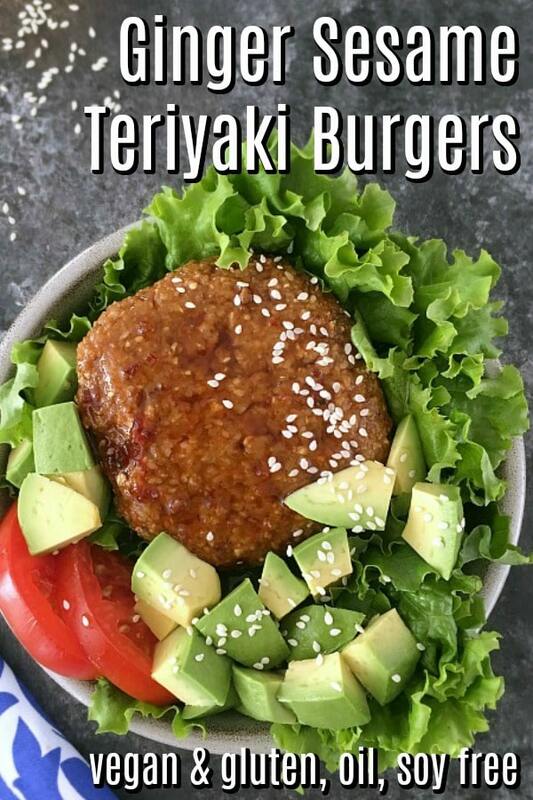 We’ve been doing teriyaki a lot lately, so why not burgers? exactly – such great flavor and this burger itself is a good one! you are going to LOVE them, Jenna!